Bethan-Ann Scott was only sixteen when she wrote Empress Fallen. She lives in the wild, wet, wilderness of Scotland with her family and two dogs, Hector and Padmé where she writes instead of sleeps, averaging six or seven cups of tea a day (Tetley, of course). 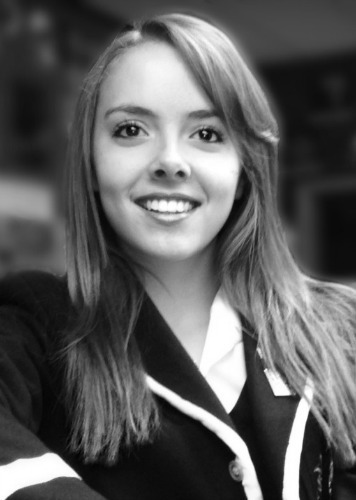 She is a Grade 8 violinist, a black belt in karate, has played football nationally, travelled all over the world playing hockey, lived in Scotland, England, the USA, and Germany, and one day hopes to visit Mars (although she’ll settle for just the moon). She is, of course, a massive nerd. Her favourite Star Trek Captain is, naturally, Captain Janeway of the USS Voyager, and she owns all possible Lord of the Rings merchandise. She is an avid fan of the Game of Thrones and Battlestar Galactica, and dreams of her books one day being made into movies by J.J Abrams . . . admittedly a bit of a long shot! Alongside her studies she reads extensively and loves to travel, having recently visited the Large Hadron Collider and CERN in Geneva, where she discovered the wonders of antimatter (through reading not experiment). 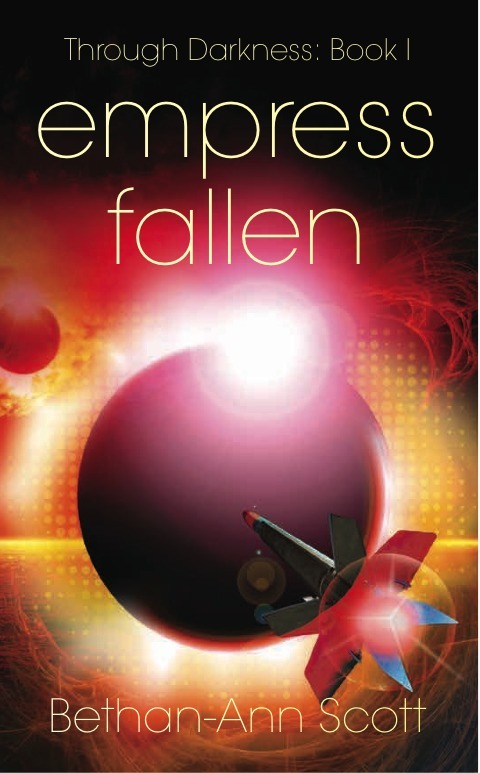 Scott’s recent work is a trilogy of epic space opera books, beginning with Empress Fallen. In the Through Darkness series, she addresses man’s inhumanity to man, dealing with an array of Shakespearean themes, including the corruption of power, unrequited love, and the destructiveness of greed. How far will greed drive a rational mind? When do we begin to sacrifice the very humanity that defines us? That is the level to which she pushes her characters. As a student of economics and philosophy, she writes to explore the horrors of authoritarianism, to highlight the moral ambiguity so prevalent in the political arena. Does love have the power to overcome evil? It is the year 7056. In a solar system hundreds of light years from Earth, the broken and weary human race has lost its path, tainted by millennia of suffering and oppression. The corrupt Empress has utterly succumbed to the dark seductions of greed and now hides a deadly secret, one that could bring about the annihilation of humanity. Will the greatest conspiracy of all time go undiscovered? But revolution is stirring. Slave girl Aliya Soter and rebel pilot Miriam Ferox are embroiled in a daring race against time as a mysterious anomaly hurtles towards the solar system. The slave colonies are revolting, the stock markets are poised on the brink of collapse, and overhanging everything are the forbidden rumours of a mysterious resistance force . . .
Can they bring down the Empire once and for all? But all is not as it seems. And with this simple realisation it becomes clear, this is just the beginning of something far greater . . . The first instalment in the Through Darkness trilogy, Bethan-Ann Scott's debut propels the reader through an epic space opera adventure, raising profound questions of morality and man's inhumanity to man. She tests all the assumptions society makes of the purity and benevolence of the human spirit, exposing the true fragility of the mind when it succumbs to oppression and just how fatal authoritarianism can be. This is a story of Shakespearean magnitude, and twists and cliffhangers unfold relentlessly throughout the book, entertaining the reader at every turn. This is a must-read for all fans of Suzanne Collins, Peter F. Hamilton, Star Trek or Star Wars!